A region famous for its beautiful beaches and glamorous resorts, the north east corner of Sardinia offers a truly unforgettable holiday experience. Designer shops and luxury yachts can be discovered in Porto Cervo, or quaint local markets in San Pantaleo. Take a look at our accommodation in the Costa Smeralda & North East. 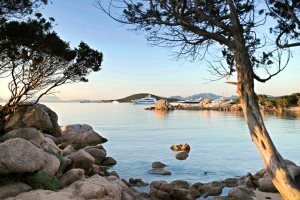 Find out more about the Costa Smeralda and North East. Characterised by vineyards, rolling hills and stunning Catalan architecture, this region of Sardinia is peaceful and welcoming. Explore Alghero's old walls, take a boat trip to admire the coast or go in search of white sandy beaches, there's plenty to do in Alghero & the North West. Take a look at our accommodation in Alghero & the North West. Find out more about Alghero & the North West. A beautifully wild and rugged region, Central Sardinia promises adventure and authenticity. 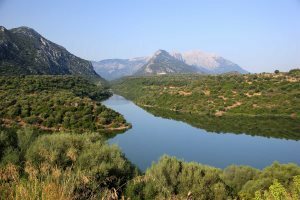 Isolated villages are surrounded by impressive mountainous scenery, and there's lots of opportunity for exploring the lakes and mountains on foot or by car. Take a look at our accommodation in Central Sardinia. Find out more about Central Sardinia. 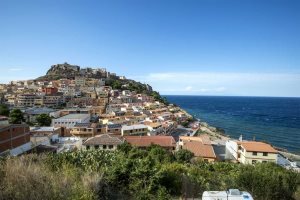 Home to Cagliari, Sardinia's capital, plus numerous beaches and café-lined piazzas, you'll be spoilt for choice when holidaying in Sardinia's south. Practice your favourite water sports or explore medieval castles, the choice is yours. Take a look at our accommodation in Southern Sardinia. 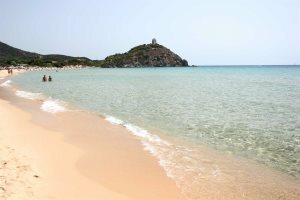 Find out more about Southern Sardinia.